Live Feed: Live streaming video will be provided on the Drag Illustrated Facebook pageduring the Nitrous Outlet/Drag 965 Burnout Contest at 7:15 p.m. on Friday and during eliminations on Saturday. 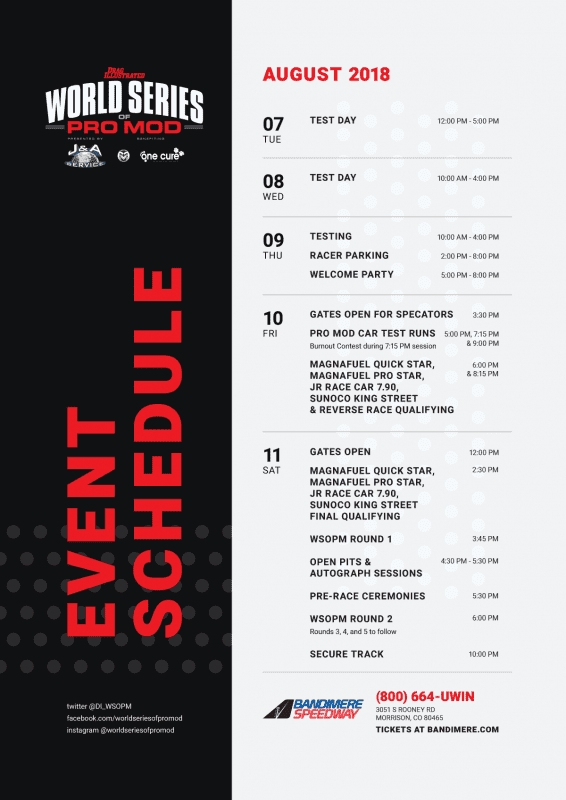 Bandimere Speedway will sell event t-shirts, hoodies, hats and other event merchandise at four different locations around the facility. Drag Illustrated merchandise and subscriptions will also be available for sale on the midway. Umbrellas are permitted; however, an umbrella may only be used if, when open, it provides protection only to the Guest holding it and does not interfere with other Guests’ enjoyment of the event. Personal umbrellas larger than 15”, when collapsed, and/or golf umbrellas are not permitted. Guests may be asked to close their umbrella if it is obstructing the view of other Guests. No coolers larger than six-pack size (approximately L 20″x W 13″x H 14″) are permitted into the facility. All coolers are subject to inspection by speedway security. As long as they are no larger than a six-pack size L 20″x W 13″x H 14″. All backpacks are subject to inspection by speedway security. Can I get drivers’ autographs? 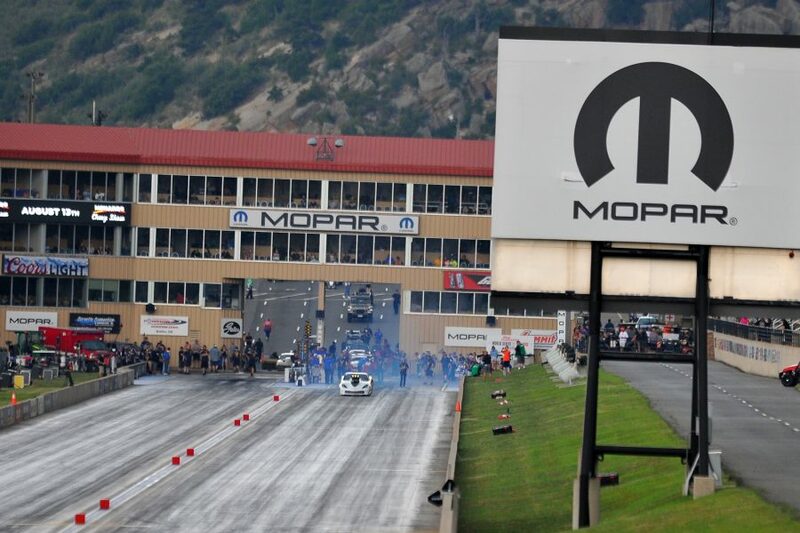 During the Mopar Mile High Nationals, NAPA Auto Parts Night of Fire & Thunder, CARSTAR Thunder on the Mountain, and Brakes Plus Jet Car Nationals, many drivers will sign autographs in their pit area. At all other Bandimere Speedway events the drivers are often available at any time for autographs to anyone that asks. Yes, there is an ATM available for use in Bandimere’s official souvenir store Competitive Threads.